Boudica was a famous queen of ancient Britain who led a rebellion against the Roman occupiers. Boudica was born in 30 AD in South East England. Around CE 48, she married Prasutagus, the head of the Iceni tribe in South East England. They lived in Norfolk and, during the life of Prasutagus, were given semi-independence from the Roman occupiers. Prasutagus was given the freedom to remain King of the Iceni but under the dominion of Rome. Despite some advantages of Roman rule, the Iceni people suffered many indignities such as slavery and high taxes. On the death of Prasutagus, Roman law meant the majority of his possessions would pass to the Roman Emperor. However, the local Roman commanders took this as a pretext to confiscate all the property of Prasutagus and other leading Iceni tribe members. Prasutagus had also run up debts during his lifetime and when his wife Boudica could not meet them, she was stripped and beaten in public. The Roman historian, Tacitus, wrote that Roman soldiers raped her daughters. Other tribes such as the Trinobantes were subject to similar treatment, leading to growing feelings of rebellion amongst the native Britons. The first target for Boudica and the Britons was the Roman city of Colchester. This city stood as an emblem for Roman rule; it housed a temple to the Roman emperor Claudius. The city was lightly defended and the Britons had little trouble in razing the city to the ground. The Roman governor, Suetonius, was at the time fighting in Anglesey. When he heard the news he travelled to London, which was then a small but thriving financial centre. He considered defending London but concerned over the growing number of rebellious Britons he left it only lightly armed. The Britons thus were able to take London and later St Albans. Over 80,000 people were estimated to have been killed in the three cities. The Britons showed no mercy to those left behind. Boudica now led her growing army north to meet Suetonius’ army. Along the way, Boudica’s army was able to successfully ambush a Roman column of soldiers who were marching along a narrow path. The two armies eventually met in open battle, possibly somewhere along Watling Street. The Britons heavily outnumbered the Roman forces, however, the Romans had superior tactics, training, discipline and weapons. The Romans chose a narrow location, where the Britons could not use their superior numbers. The first wave of Britons was stopped with a wave of Roman Javelins. When the second wave came, the Romans held firm, behind their wall of shields, stabbing the Britons with the short sword. At the end of the Battle, only 400 Romans had fallen, but up to 200,000 Britons had been slaughtered. Conflicting reports suggest that Boudica, either took poison or died from her wounds. Boudica gained a tremendous amount of interest in the Victorian period. The husband of Queen Victoria, Prince Albert, commissioned the statue of Boudica which stands outside the Houses of Parliament in London. Boudica actually became a symbol of the British Empire, which is somewhat ironic given her anti-imperialist stance. The rebellion of Boudica sent shockwaves through the Roman Empire and almost forced the Romans to leave England, but once quelled Emperor Nero decided to replace Suetonius with a more neutral ruler Publius Petronius Turpilianus. Most of the sources for Boudica’s time comes from Tacitus. 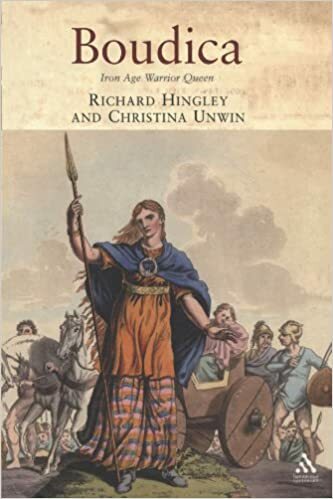 His father-in-law, Agricola, was a military tribune under Suetonius Paulinus, which almost certainly gave Tacitus an eyewitness source for Boudica’s revolt. Citation: Pettinger, Tejvan. “Biography of Boudica”, Oxford, UK. www.biographyonline.net, Published 18 May 2007. Last updated 16 February 2018. Boudica: Iron Age Warrior Queen at Amazon.